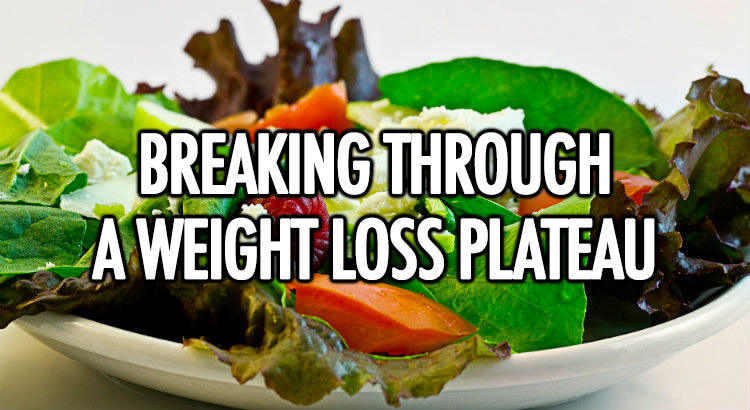 So you’ve been dieting for months, exercising like crazy and dropping the pounds. You’ve been strict to get this far and have lost a lot of weight. But, you aren’t doing anything differently and you have stopped losing weight. You have hit a plateau and you don’t know how to push through it. Or, you’ve got your last 10 pounds to lose, that last bit of stubborn belly fat that you just cannot budge. We are going to get you through your plateau, we’re going to give you the best tips to trick your body out of it and keep you moving towards your goal. The body is complexed when it comes to diet and exercise, but it doesn’t have to be. Your body has probably just become used to everything you are doing, it is not being shocked anymore so it has adjusted to your new routine. If you have already lost weight, there comes a time when you need to re-calculate your TDEE. Simple adjustments to your diet can kick you back on track. As you probably already know, your Total Daily Energy Expenditure (TDEE) is an estimation of the total number of calories burnt per day, taking into account exercise. Calculated by finding your Basal Metabolic Rate (BMR) then multiplying that number by an activity multiplier. Obviously, you are a lower weight and probably, in most cases, slightly more active so you definitely need to take a look at your TDEE first. This is because it is highly possible that you are eating too much now or too little in some cases. A simple alteration to the number of calories you are consuming can kick-start your metabolism and shock your body into burning fat again. High-Intensity Interval Training (HIIT) is a good way to keep the body on track. HIIT keeps the body on its toes, so it doesn’t get used to the same old workout. The mixture of intensities helps to burn calories and even after the HIIT session, it is believed your body continues to burn calories at rest. HIIT is good for burning that stubborn fat and can help to build muscle. It will help with building stamina and endurance too. It is believed that a 30 minute HIIT session burns the same, or more, calories than a steady hour of cardio. Adding weights to your routine can benefit you in so many ways. Not only will you become stronger and build muscle, but you can burn fat when lifting weights. People are put off when it comes to weightlifting because they believe they will become bulky and muscular. Believe us, it is not that easy to gain that amount of muscle without working hard for it. Lifting small weights, regularly will not turn you into a bodybuilder. It will, however, help to tone your body, burn fat and make you look a little leaner. Your aim should be to build some muscle, this is because you burn more calories at rest. For example, gaining 1 pound of muscle will burn an additional 50 calories at rest. So turning that fat into muscle is essential. Gaining 10 pounds of muscle can burn an additional average of 500 calories a day at rest. If you are close to your goal and are wanting your abs to show, for example, then adding weights to your routine will promote this. It sounds obvious, but make sure you are eating enough protein to fuel your body. It doesn’t matter what source you get your protein from, as long as it stays within your macros. Make sure your macros are right, a higher protein diet is more beneficial for most people. Aim to eat between 1 – 1.5 pounds of protein per pound of bodyweight. Protein is necessary for muscles so this is a must. Eating a higher protein diet also keeps you fuller for longer, keeping you on track with your diet and those sweet cravings at bay. Some people struggle when it comes to adding more protein to their diet, but little changes can make a big difference. If you are close to your goal but have a little weight to lose or fat to burn and have tried the above tips then you need to focus on your diet. You need to become stricter as you get closer to your goal. You may need to cut sugar and alcohol from your diet, yikes! By doing so you can push your body into burning that remaining fat, the closer you get to your goal the trickier it can become. Cutting sugar from your diet can have a huge positive impact on your diet. If you are struggling to lose the last 10 pounds, then you need to change your diet and lifestyle. Be sure to consider everything we have discussed, it could be something simple that is hindering your weight loss. Keep in mind that it is essential to keep your body on its toes when it comes to diet and exercise, make sure you don’t fall into a routine which your body can adapt to. Switch your sessions regularly to avoid this and incorporate HIIT. And remember, keep at it! We hope you manage to reach your goal, stay consistent and have patience and you are sure to get there. Do You Have to Squat to Build Leg Muscles? How Important Is Sleep in Terms of Muscle Repair & Muscle Growth? TubbyGorilla.com is a participant in the Amazon Services LLC Associates Program, an affiliate advertising program designed to provide a means for sites to earn advertising fees by advertising and linking to the Amazon website. Financial incentives will never affect our ability to write fair and honest reviews, nor would money ever change our opinion on a product. We do not accept paid reviews or sponsorship of any kind.